Various students will take standardized tests during the course of their education in order to place into particular colleges and universities and determine their qualification for the National Merit Scholarship Program. Three of these major tests are the PSAT, SAT and the ACT. 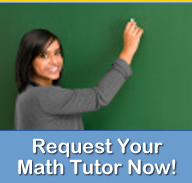 Math Tutoring Experts provides assistance in the mathematics portion of these exams. MTE provides assistance with all mathematical subject topic matter pertaining to this exam such as Algebra, Geometry, Pre-Calculus, and Statistics. MTE will provide assistance to students helping them master mathematical concepts that will come up during these important exams. Give your students the additional support that they deserve. Contact MTE today to inquire about PSAT or ACT and SAT math prep review for your student.